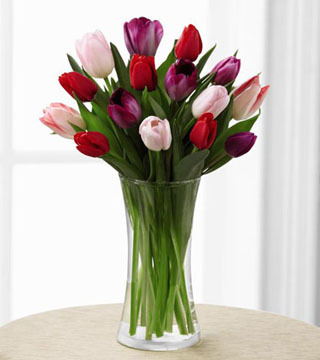 It's Your Day Bouquet is a bright and sunny display set to uplift their spirits with each exquisite bloom. 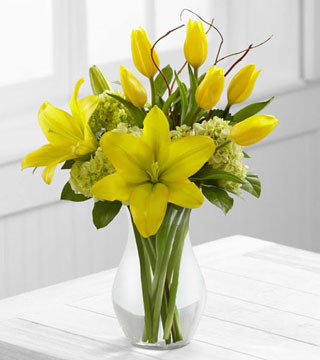 Yellow tulips and Asiatic lilies are arranged amongst green mini hydrangea, lush greens and a curly willow accent. 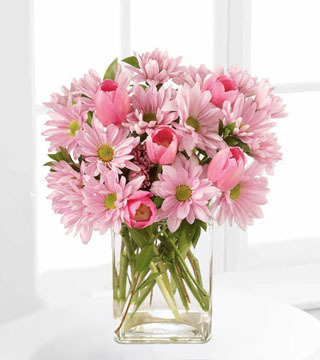 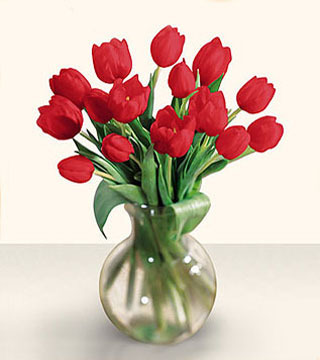 Seated in a classic clear glass vase this brilliant bouquet is a warm way to send your sweetest sentiments.